There are hazards at any work site, and it is the responsibility of those involved to protect the public from any dangers that might befall them. 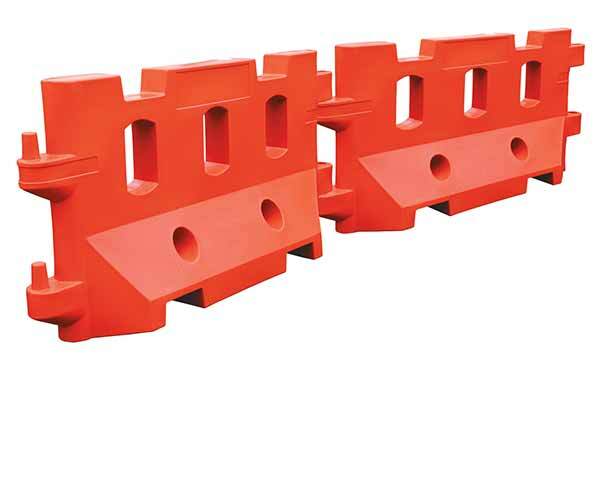 Our water fillable pedestrian barriers offer an effective way to increase safety levels in and around your work site in an effective, convenient and use-friendly manner. Our water fillable pedestrian barriers are made of extremely sturdy polyethylene and display astonishing degrees of durability and strength when filled with water. When empty, they are lightweight and easy to install and transport. They can be easily handled with a forklift. Two people are sufficient for installation and handling. 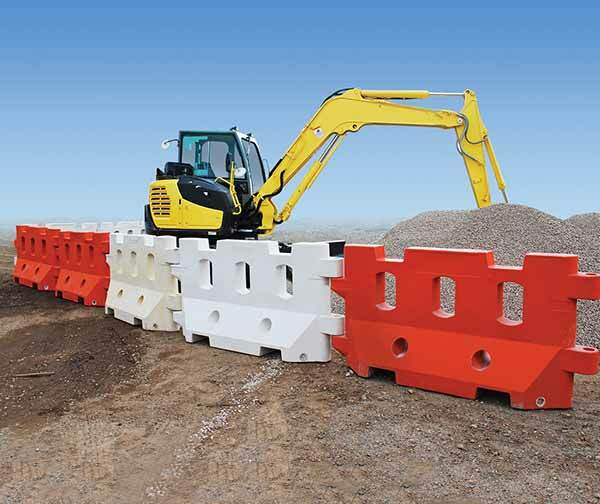 The sturdiness of these pedestrian barriers when filled with water makes them a good option for harsh environments such as construction sites. They come in bright colours to make them more visible even at night. 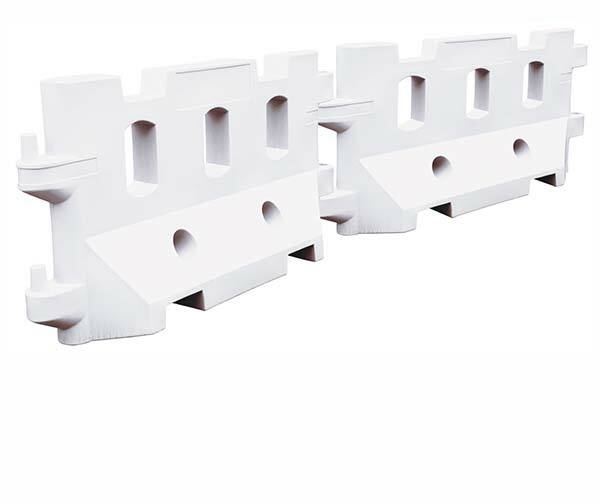 The fact that they can be drained and filled at will makes them a fantastic option for those who want the flexibility of having an extremely sturdy barrier that can still be lightweight and easily transported.